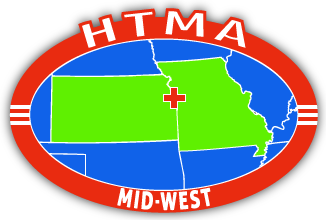 Thank you for your interest in becoming a member of the Healthcare Technology Management Association of the Mid-West. The next few pages will walk you through the application process. There are five levels of membership: Organizational, Corporate, Individual, Student and Military. If you are a applying on behalf of a Corporation or Organization you will fill out the form for yourself, and once your dues have been received your account will be activated at which time you can access your profile and add additional accounts within your organization. Please see our Society By-Laws for further explanation of these membership types and their benefits. If you are applying for Military membership we only ask that you provide a DD214 or equivalent document that shows your ETS date before we activate your account. You can bring this document to a meeting or send your documentation via e-mail. Once the application is complete you will be asked to submit your dues through our PayPal form. You do not need a PayPal account in order to make a payment, however you will need a credit card to pay online. PayPal is a completely secure method of online payment, however, if you would feel more comfortable applying online and paying in person at one of our meetings, you are more than welcome to do so. We look forward to seeing you at our meetings. If you have any questions about this application form please contact Gabe Jamison (HTMA-MW Webmaster). Active Duty/Reserve Military - Free Subscription period: 1 year No automatically recurring payments All rights of Individual Membership. Member must provide a copy of DD-214 showing current military status before membership is activated. Corporate Membership - $300.00 (USD) Bundle (unlimited) Subscription period: 1 year No automatically recurring payments Advertising link/graphic on the HTMA-MW website, request for member contacts (if member allows), can post open positions and have the opportunity to sponsor a meeting on a first-come, first-served basis. Individual Membership - $25.00 (USD) Subscription period: 1 year No automatically recurring payments 1 voting privilege, request for documentation of meeting/event attendance for re-certification purposes & receipt of dues payment for tax purposes. Organizational Member - $150.00 (USD) Bundle (unlimited) Subscription period: 1 year No automatically recurring payments The Organizational Membership allows organizations to provide membership dues on behalf of their employees. They will have the ability to post job openings, and each member from the organization will have full Individual Membership rights. Student Membership - $15.00 (USD) Subscription period: 1 year No automatically recurring payments Student members shall enjoy all the privileges of an individual member. Please be prepared to show a valid student ID.